← Coffee Shop of Horrors, RetCon, and YOU! 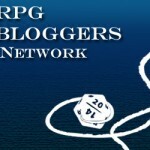 Posted on August 10, 2012, in Convention Gaming, Hunter the Vigil, Mage Awakening, MtAw, RetCon, RPG, White Wolf, WoD, World of Darkness and tagged HtV, Hunter the Vigil, Mage the Awakening, MtAw, nWoD, RetCon, RetConGameCon, Role Playing Game, Roleplaying Games, rpg, tabletop RPG, world of darkness. Bookmark the permalink. Leave a comment.